For students in chemistry classes, the right tutor can make all the difference in homework, test scores and confidence to continue learning. That’s why Grade Potential provides highly competent chemistry tutors who are knowledgeable about the subject as well as passionate about helping students grow. With our help, you (or your child) can reach specific academic goals and move forward one assignment at a time! Grade Potential provides highly personalized in-home chemistry tutoring catered to you. Our tutors come to your home on your schedule, and they adapt their support to your specific personality and learning style. For high school students in advanced chemistry, an AP chemistry tutor can make all the difference in reaching academic goals. For college students in higher-level chemistry courses, the right chemistry tutor can make the class more approachable. 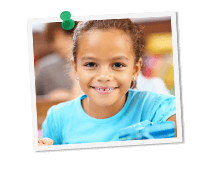 Grade Potential’s tutors are experienced, knowledgeable individuals with a passion for helping students learn. Whether we’re working with elementary students or graduate students, we know how to simplify tricky chemistry concepts and empower students to succeed.